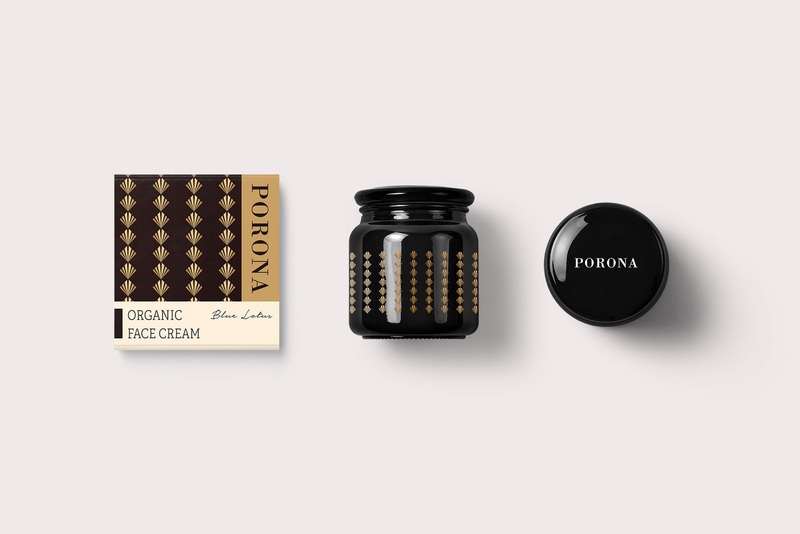 PORONA is an organic skin care product brand that covers skin lotions, essential oils, face lotions, creams, handmade soaps and many more. 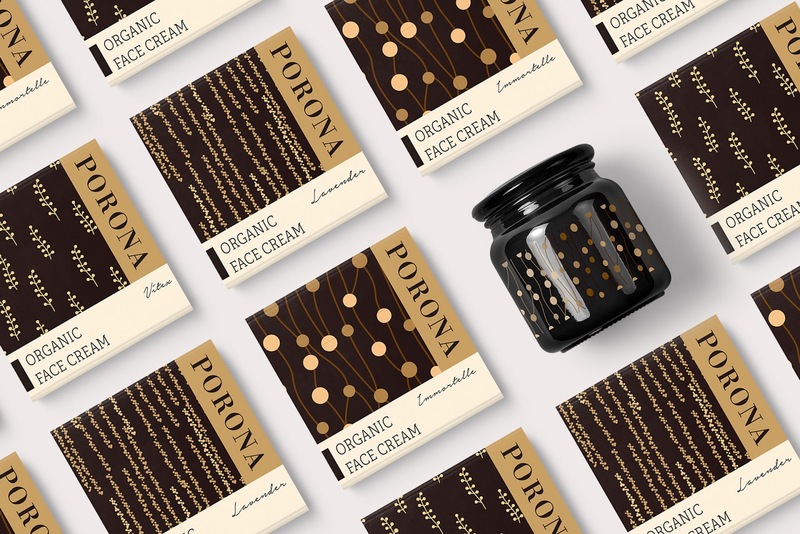 In this project, we designed an overall branding for our new product, Organic Hydrosol. 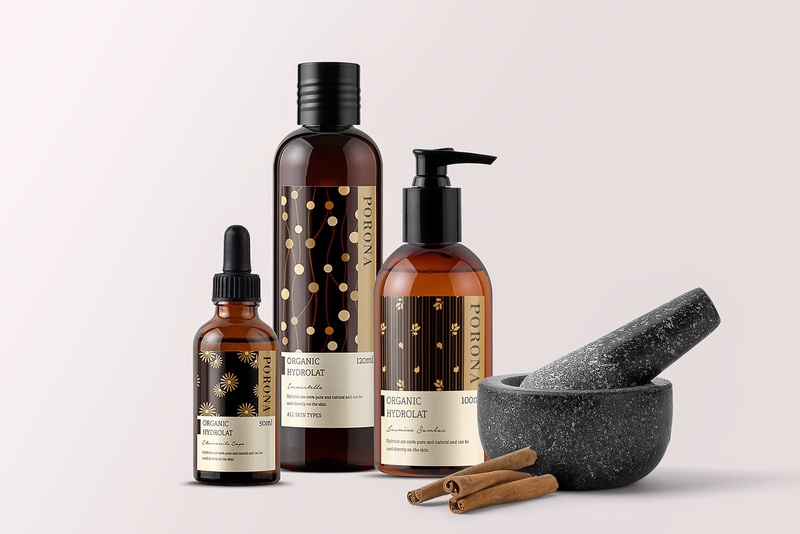 Pure dew is organic and natural, each of which is extracted from the leaves and fruits of certain plants, such as Blue Lotus Organic Hydrosol and Lavender Organic Hydrosol. 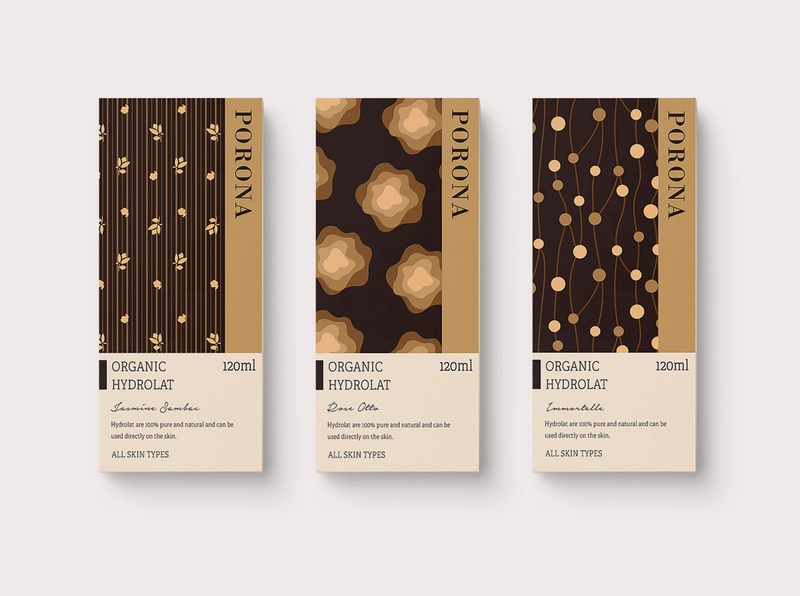 There are 10 varieties of PORONA organic pure water - Rose Otto, Lavender, Roselle, Blue Lotus, Immortelle, Rosemary Verbenone, Chrysanthemum, Vitex, Chamomile Cape, Jasmine Sambac. 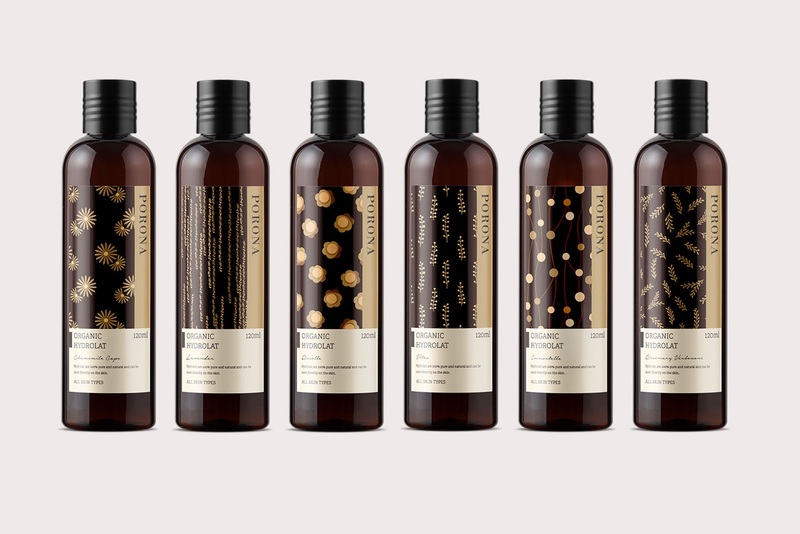 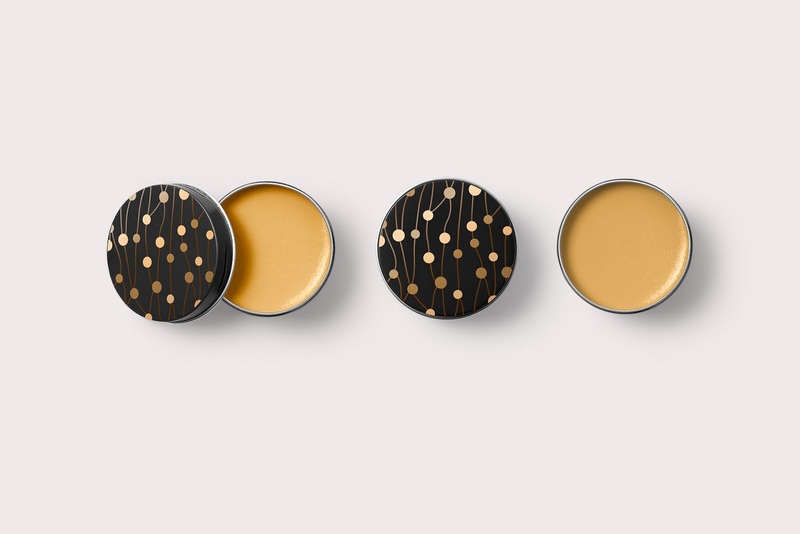 We have designed different patterns according to the plants and applied them to labels and packaging.